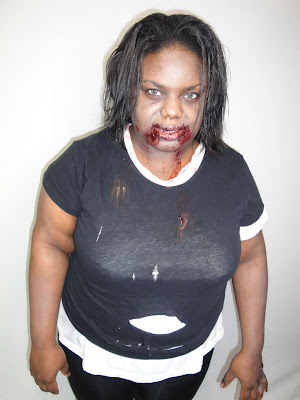 Home graftobian the walking dead zombie Walking Dead Zombie Makeup! I'm a huge fan of the show Walking Dead on AMC. With the premiere just past this Sunday I thought it'd be a great time to show some Zombie Makeup I did a few months back. 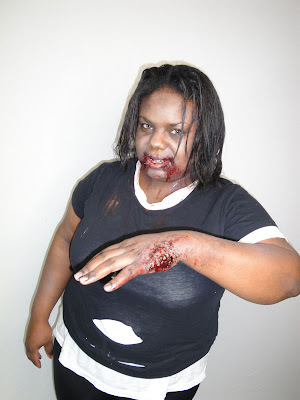 It's so fun to pull out these gore looks this time of year, check it out! 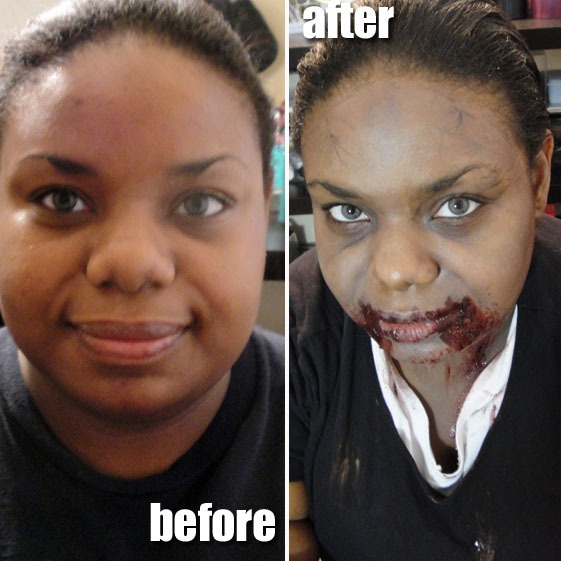 My friend actually hired me to do her makeup because she wanted to audition for the Walking Dead. How cool is that?! We went for a maybe 2 day old dead look lol. That means only a bit of decay and gore, not too over the top. Our story centered around a bite on her hand. In our head, she was bitten when protecting herself from a zombie and as she threw her hands up to block, she was bitten. I used a combination of spirit gum, modeling wax, liquid latex, and tissue paper to get the texture. 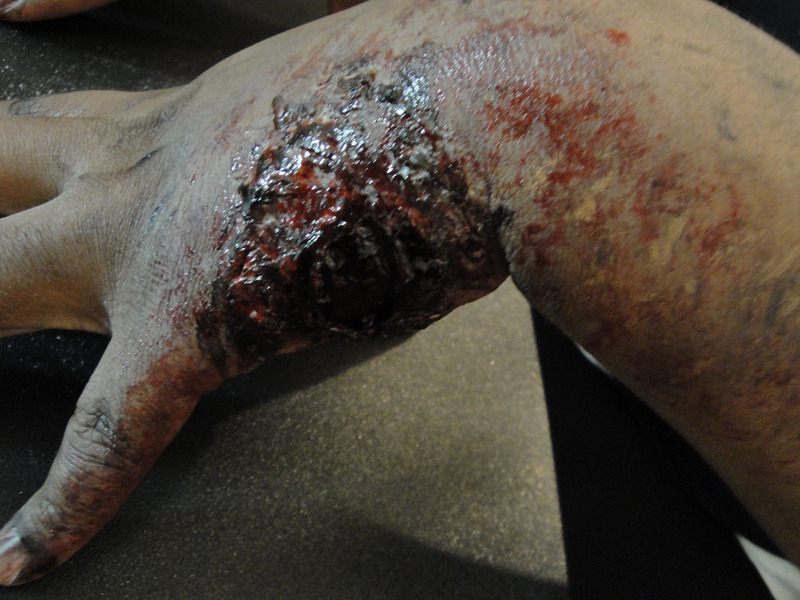 Then I used blood paste and liquid blood to gore it up and then random eyeshadows to create bruising and veins. All of the products used are from Graftobian. Throw some "dirt" aka brown loose powder and liquid blood on torn clothes and you're good to go! For her hair, I used a trick I heard that they did on the Walking Dead. Tons of hair conditioner! That gave the oily, piecey look. I hope you guys enjoyed! Not your typical makeup look but so fun nonetheless. We even filmed a mini horror film for fun which I may put up one day lol. Who saw the premiere? By the time this is going up I will have had hosted a premiere party with the BF where we're dressing up as our favorite characters. I'll make sure to post pics soon! Till next time, Ciao Bellas! Eeeeeeeeek!!!!!!! She looks so scary.